Indeed, as it says in the title, sometimes it rains. Rain can be messy and inconvenient, and tends to be associated with foul moods. But in a collection of songs about life and love from Scotsman Ian McKelvie, the title seems fitting. 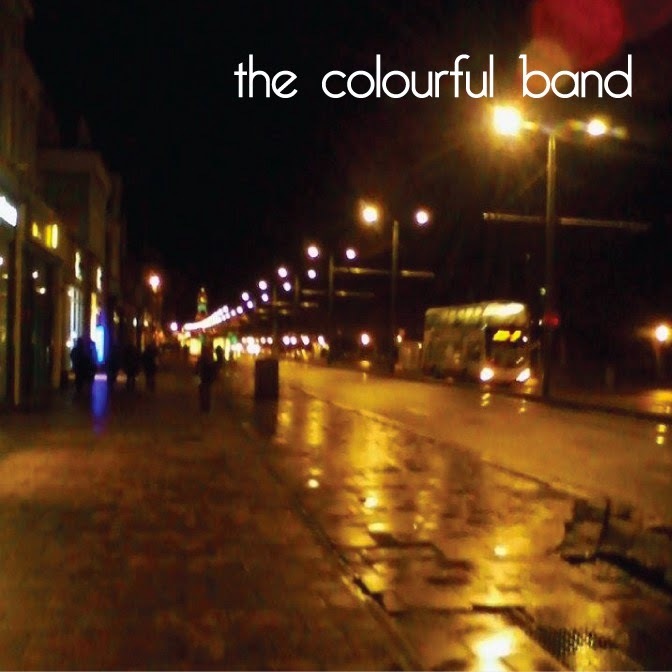 For his last album, the singer-songwriter used a full band for recording, but for this one, while still using the name The Colourful Band, he relied on his solo performance and the quality of his songwriting. Perhaps it was a risk, but I think it paid off; this is one of the most warm and visceral albums you will hear this year. Recorded live in a single night, with only Ian singing and playing guitar without overdubs and post-recording wizardry, you feel like you are sitting right next to the man. The album begins with the reflective, down-tempo "The Road", in which Ian muses about the life's seemingly endless road. But proceedings liven up considerably for the standout second song, "Hallelujah". Combining incisive commentary with a vigorous vocal performance and an acoustic guitar that fills the room. Thinking about the lyrics, I am suspicious that Ian won't really be giving up women or drink, but we need to give artists space to create alternate realities to entertain, and who can quibble with a song that good? The next song is the mid-tempo anti-war tune "Arms Against the World (Don't Take Up)", followed by the reflective "I Just Don't Know What's The Matter With Me". "The Same Old Familiar Story" is an examination of the state of a relationship, and the pattern represented by its path. Although my personal preference runs to the mid and high tempo songs, one of my favorites is the slower tempo "Rain". Featuring a passionate vocal performance, it anchors the album thematically, and begins a three-song run of killer tunes. The other two are standout "The Lights of San Francisco" and "Love Is Hard To Find", which starts soft and builds beautifully. Both are so good that I had to include them below with the stream of "Hallelujah". So, I recommend that you endure love, loss, and uncertainty vicariously through Ian. This is a great one for headphones and a glass of whisky. I'll assume you know how to use both. Sometimes It Rains is a digital-only release. You can find it at Amazon US here or Amazon UK here. It also is available via iTunes.